As Muslim parents, one of our major concerns is that our kids learn Arabic in order to be able to read the Quran. When you’re homeschooling or your child attends a secular school, well, let’s just say this concern tends to become a little bit more amplified which may just end up turning into a bit of an anxiety disorder. Yes there is an undocumented mental illness that plagues us as Muslim parents, I call it the how-will-my-kid-learn-Arabic syndrome. This can get really bad if you are not a native speaker! Thankfully, there is a cure ! and a free downloadable checklist here. So how and when do you start teaching your kiddo Arabic especially when you’re not so savvy with the language, you know, kinda like yours truly, ummm… me! 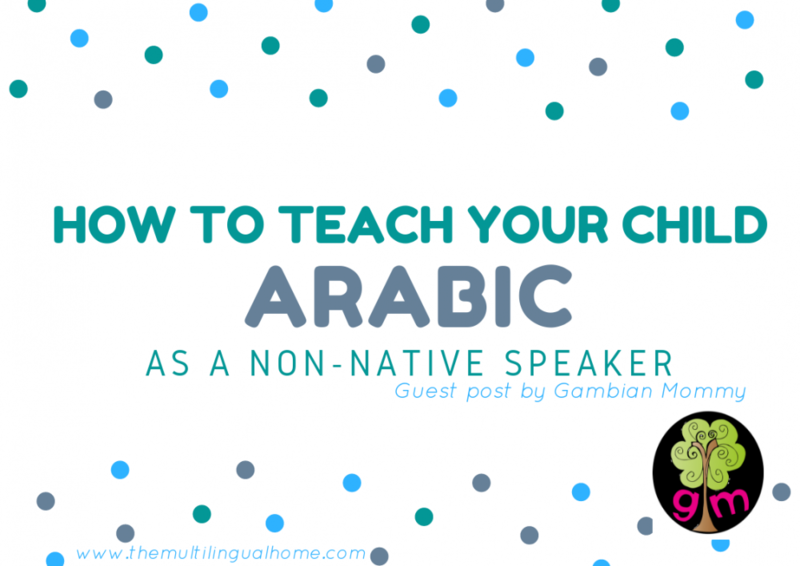 The first good news is you don’t need to speak Arabic to start teaching your kiddos Arabic. I do not speak a word of Arabic, but that has not stopped me, and my child has not only learned her letters but on her way to learning to read Arabic alhamdulillah. So yes, there is hope and yes, you can do it! 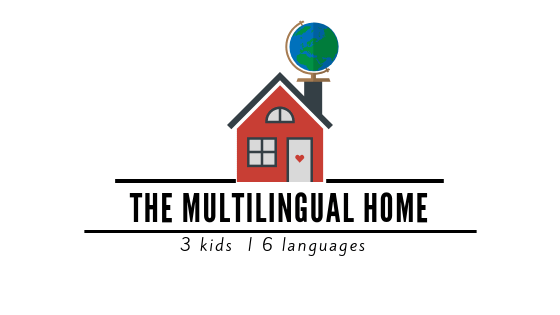 The second good news is that teaching your kid Arabic is so much easier now with the plethora of online references one can refer to and awesome resources that are being created to help us teach Arabic! So when exactly do we start teaching our kids Arabic? What is an appropriate age? I wouldn’t say there is set-in-stone age that everyone must follow but a good age to start introducing Arabic to your child is at the age of two. Note that I used the word “introduce”, cause at two you don’t really have to do anything over the top, planning lessons and getting all formal but it’s a great time to start introducing it to them in fun ways. 1. If you want to teach your child Arabic, the first and most important thing that you need to get in order is yourself! Yes you, in that you need to develop and show your interest and love for the language, kids feed off our energy and look up to us, so when they see our excitement and love for the language, there’s a high chance they will follow suit. Get excited when teaching your child, point to everyday things and refer to them in Arabic too, notice Arabic as much as you can around you no matter how little… if it shows they’ll also build up on it. If you’re at ground zero when it comes to Arabic vocabulary, you can teach yourself vocabulary from online sources (think YouTube and Pinterest) or using an Arabic dictionary for everyday words and use them with your child. 3. Wooden toys are always a great idea, wooden Arabic toys are an even greater idea and there are some awesome Arabic wooden toys that make this journey so much easier and fun. From ThinkerNation to Ilm Projects to online stores like Eastern Toybox and Anafiya gifts that sell a wide range of Arabic toys that can aid you on your Arabic learning journey. 4. Arabic resources! I don’t know where to start with this one, whether you want to focus on teaching Arabic reading, or you want a total Arabic language immersion, there are awesome resources out there being created that you can use as either curriculums or incorporate into your lessons as supplements. If you’re looking to teach Arabic reading I have developed a curriculum that is progressive and teaches letters, phonics, letter forms and special sounds. The Arabic Alphabet Curriculum is divided into three Series, Series I introduces and teaches the Arabic alphabet, it includes activities that can be used from preschoolers to first graders. Series II focuses on learning and recognizing the changing nature of Arabic letters and Series III focuses on those special letters that are not quite part of the Arabic alphabet but they’re technically still letters and we need to learn them to read, so letters like Taa Marbootah, Laam-Alif, Alif Maqsoora and the three long vowels which also act as consonants. You can check them out at my store over here. If you’re looking for a total immersion then Arabic Seeds is the place to go with awesome thematic Arabic units to use with your kids, with fun illustrations and by a non-native speaker who has learnt and speaks the Arabic language at home with her family! When we talk about resources, we cannot not talk about games, games are a must if you want to add that little extra pizzazz to you Arabic learning journey to be fun with your little ones, Yalla Kids just released some awesome Arabic puzzles that look fun, bright and engaging. 5. Read books! Even if there’s only one Arabic word per page! It would make a massive difference and your kids will learn to love to read Arabic books as they progress and learn to read inshaaAllah. There are three awesome online Arabic bookstores that you need to check out for Arabic books, and yes even as a non-native speaker you can get Arabic books for you and your kids. You’ll be surprised when you start reading them! Maktabatee based in the US, Alif2Yaa based in Canada and Maktabati based in the UK. I’m hoping to raid these stores and work on our Arabic shelf space inshaaAllah. Don’t forget to download your printable checklist here !! Consistency is key, it’s simply a matter of doing it continuously even if it’s just a wee bit of exposure daily. Keep it simple and fun and nothing too serious or over the top. Try 2-3minutes of Arabic time every day with your kid especially if you are just starting out during the tot years. Also play Quran a lot that way they link the Arabic language to the Quran and as they get older you can dedicate more time for Arabic. 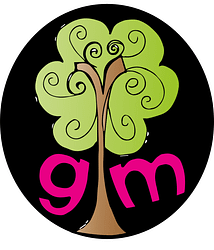 Ngaima Sesay is the owner and founder of Gambian Mommy ! She creates interactive Arabic learning/teaching resources to teach Arabic reading in a hands-on, fun and engaging way. She loves all things Psychology, Child Development and Africa !